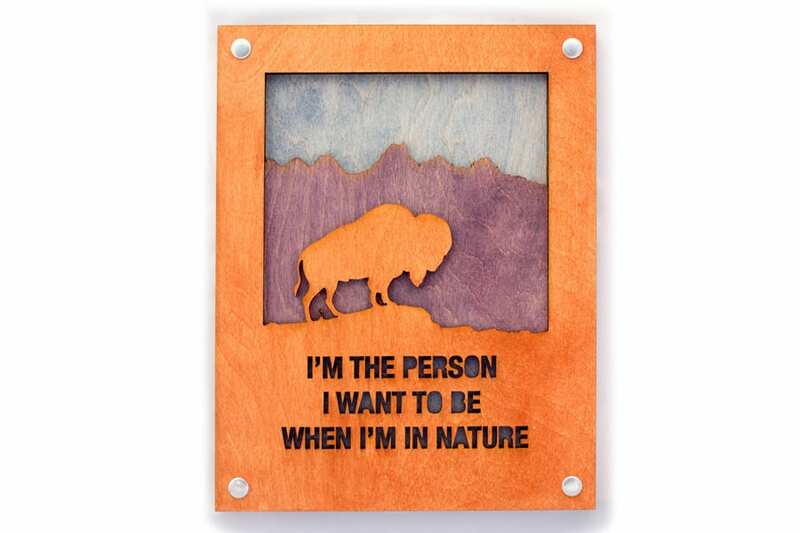 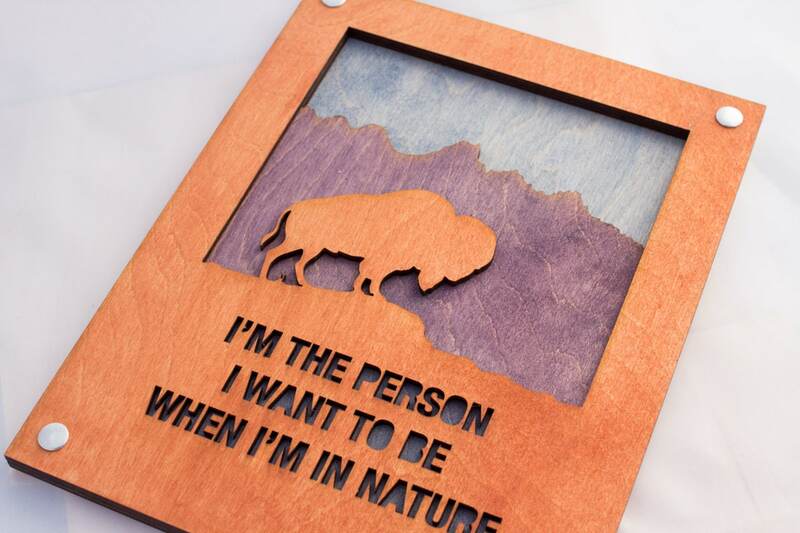 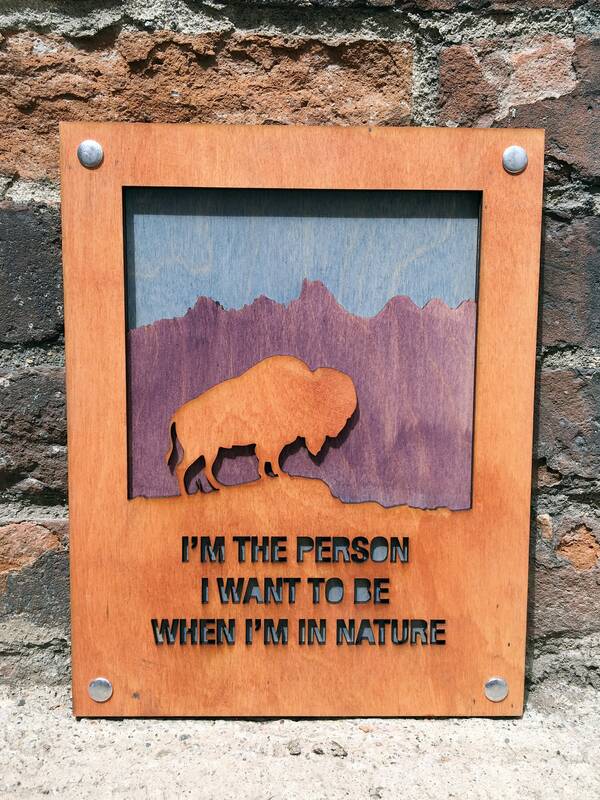 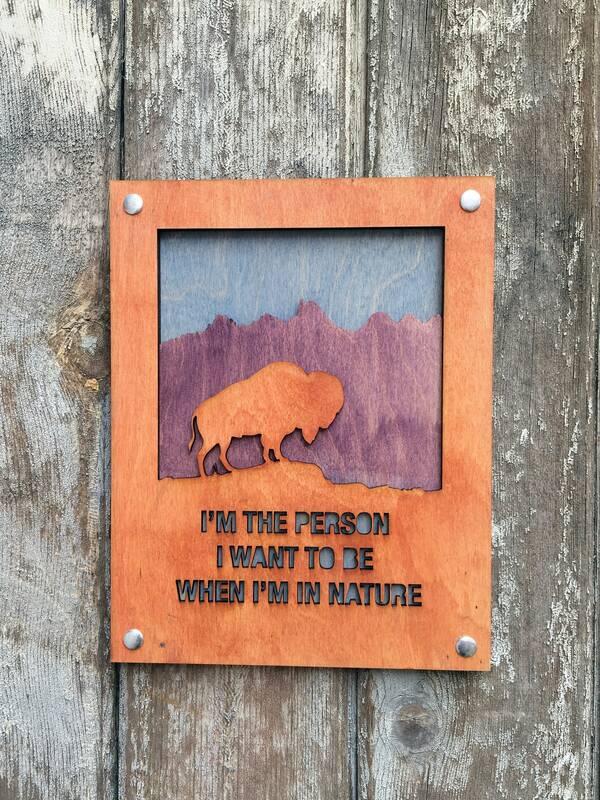 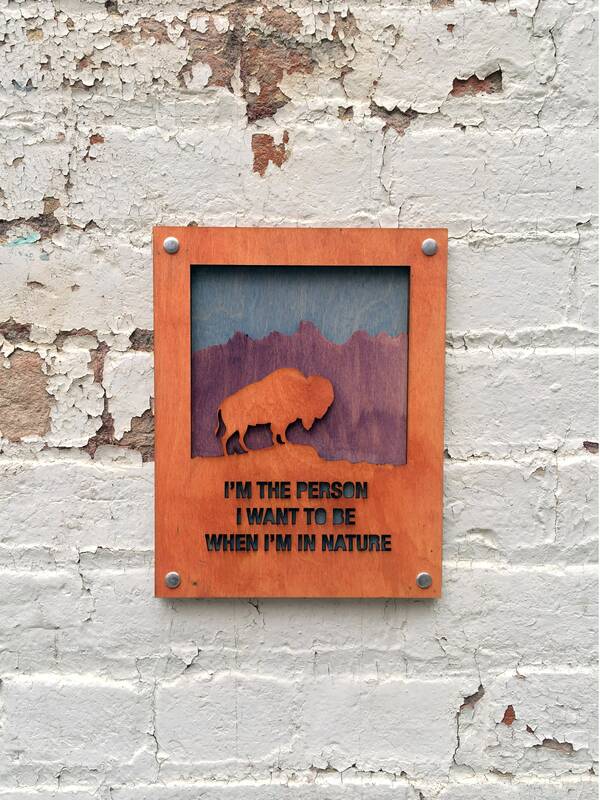 Bison Wall Decor that reflects the vibrant color of the nature. 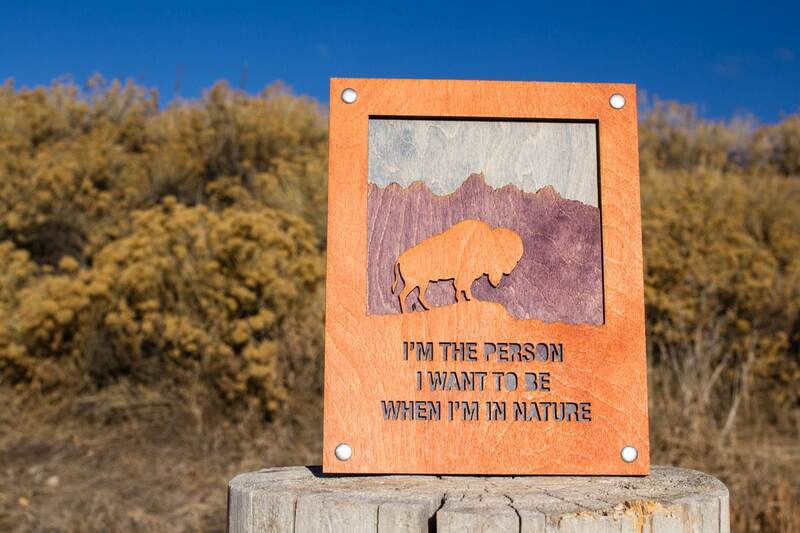 Reminiscent of the landscape in the Badlands, South Dakota, Yellowstone, or the Grand Tetons. 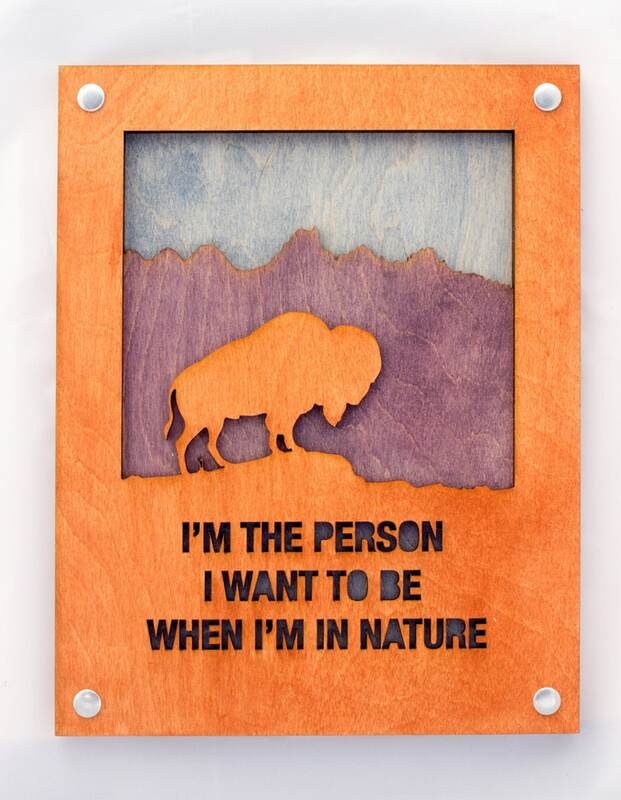 Bison Standing in Prairie with Rolling hills and ridge Mountains behind.